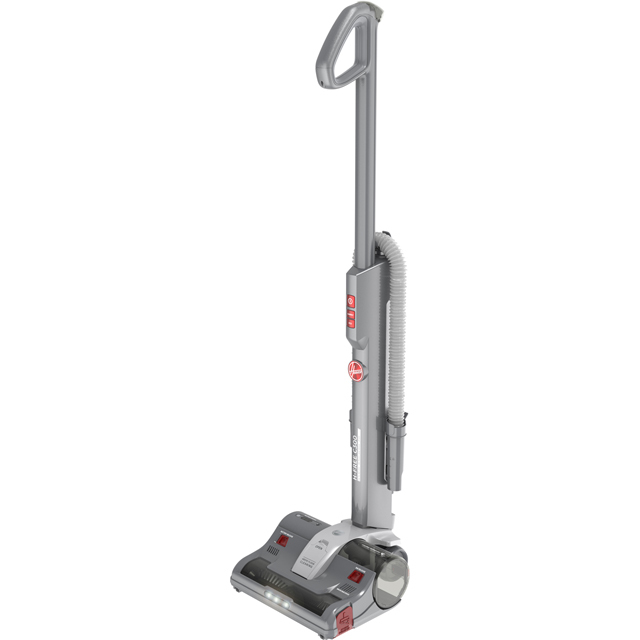 Leave every floor spotless with this cordless vacuum cleaner from Hoover. With a 35 minute run time, you’ll be able to give any room a thorough clean, and its 0.7 litre dust bin capacity means you won’t have to empty it very often either. 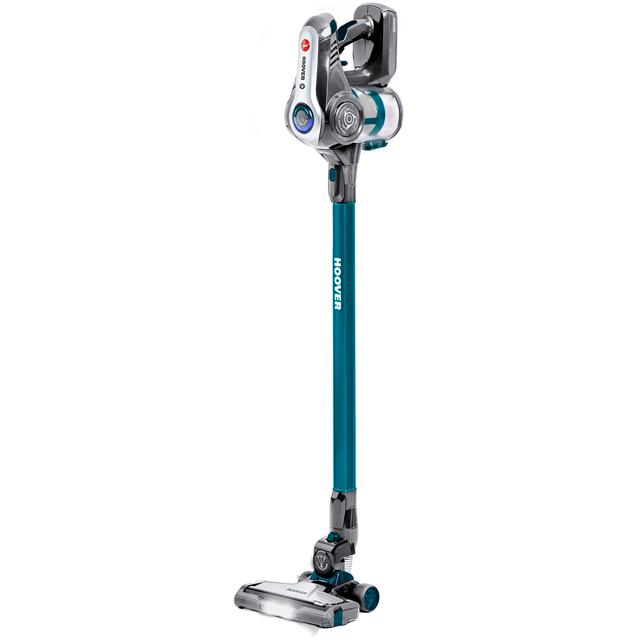 Clever High Spin-Core Technology pushes dirt and grime away from the filter inside, for incredible dust separation and brilliant suction – so nothing is left behind. This model also has a pet turbo brush which makes short work of stubborn dirt and embedded fur, so it’s perfect if you have furry friends. It has an upholstery tool too, which will leave your sofa and curtains spotless as well. I love this vacuum Cleaner. It's neat and compact, easy to use and has enough of a power boost to pick up my cat hair from the carpet. I don't use it as my main cleaner but I do use it for the everday quick bursts of cleaning that I need, such giving the kitchen floor a quick once over, picking up cat hair in the hall, cleaning the sofa where the cat has slept, picking up fluffy sock debris from the kids bedroom carpets. It's also really handy for giving the car a regular once over. The key to using it is tp keep an eye on the battery levels as it can take a while to charge. It comes with plenty of attachments and emptying the dust container is easy. My only niggle is it's easy to accidentally switch it on when you grab the handle to change brushes and the charging lead it quite small so you need to mount it on a wall directly over the plug (that is if you use the wall mount). Great all round hoover I'm really happy with it. It took only seconds to put together when it arrived and there was a small charge already in the battery meaning I could have a go straight away. It was so easy to use its quite light and the suction is great and for the areas with heavy traffic there's a turbo button that gives an extra suction boost although this uses the battery life at a quicker rate but there is easy enough battery life in a full battery to use it in every room of the house before it needs to be recharged. There's a carpet button that turns the brushes in the attachment and this picks up those pesky fluff bits from the carpet great. It's also so much easier to hoover the car with an attachment that gets down in between the seats easier. It does take around 4 to 5 hours to fully charge but I haven't found this a problem as once iv finished I hang it back up and plug it in. Very easy to empty and can hoover full house before emptying. I would say the only thing I would change would be the wall fixture was the charging point instead of having to plug the charger into the hoover. Overall I'm very pleased with this hoover and would definitely recommend it. I never had to leave bad review before but this product definitely deserves one. We bought this hoover a few months ago and it just continued to disappoint. Poor suction, tools don't fit, have to force them on and off even with the help of wd40. In carpet mode it just pushes dust around. It's now just an ornament in the kitchen. Do yourself a favour spend a little more and get the product that actually works.